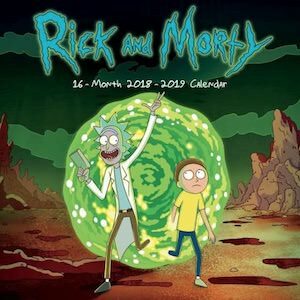 Now there is the 2019 The Big Bang Theory wall calendar. 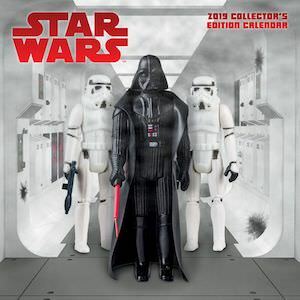 The calendar will bring all your favorites from the Big Bang Theory to your wall. 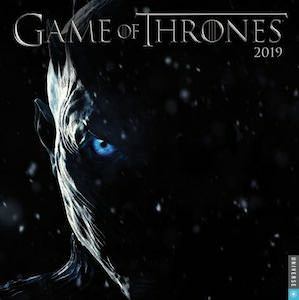 The wall calendar will bring some great memories to the TV series because each month will bring a fun photo and as expected a calendar grid below it complete with all the important things like Christmas already filled out for you but still with plenty of room for other important things like birthdays and appointments. 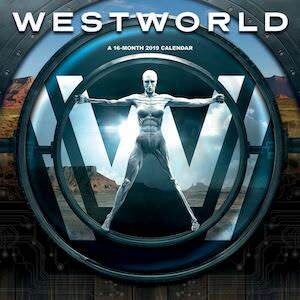 And you don’t have to wait until 2019 as this is a 16 month calendar so that you can start using it in 2018. Now there is the 2018 The Big Bang Theory wall calendar. 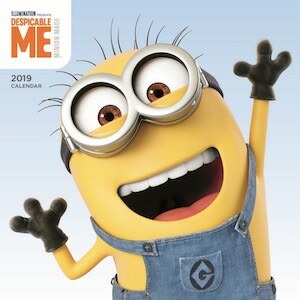 The calendar is perfect for a nice spot on your wall as it will make you smile everytime you see a fun calendar page that has photo’s and of course a great calendar. 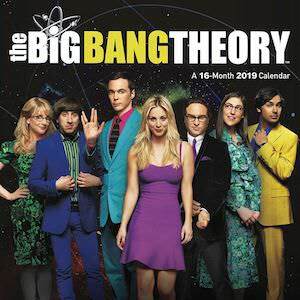 Each month you will get one big main picture of a one of The Big Bang Theory charaters and then there is a circle on it that holds another image that shows the same character with another one. 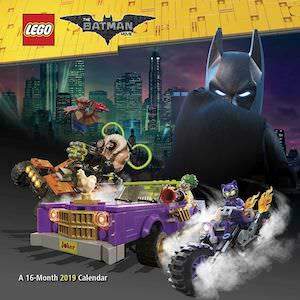 The calendar image side an the grid have the same page color to make it match and the calendar grid does include the important holidays we will be having in 2018 and leaves plenty of room to write down birthdays and such. 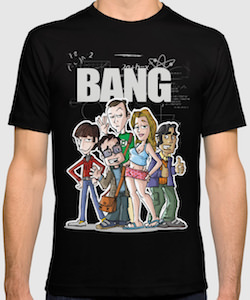 If you like The Big Bang Theory and would like a cool t-shirt then this The Big Bang Theory cast cartoon t-shirt as it is just funny. The t-shirt is available in many styles for both men and women and it is available in a wide range of sizes and many colors too. 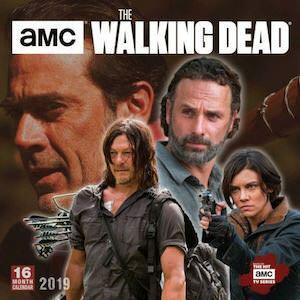 On the background you can find some scienece stuff and then the shirt shows on top a big “BANG” and below it you can see Penny and the boys only not as a photo but as a funny cartoon style image. Howard, Leonard, Sheldon, and Rajesh are all around Penny who is wearing short shorts and a crop top. The whole shirt is just funny and a must have for the true fans of The Big Bang Theory. 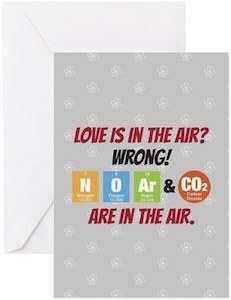 Now there is a great greeting card for your valentine if they do like The Big Bang Theory. 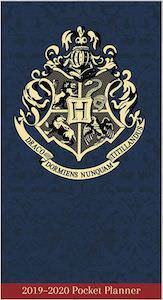 This card is available in different sizes so that you can surprise someone with a big card or a normal sized one. The background of the greeting card is gray and shows The Big Bang Theory logo in the background and on top of all that it says “Love Is In The Air? WRONG!” and then some elements from the periodic table are listed as they are in the air and below that the text “Are in the air.” and yes that is something you could expect Sheldon Cooper to say. 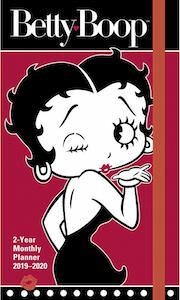 So if you want a funny card to give to your loved one then come check this one out. 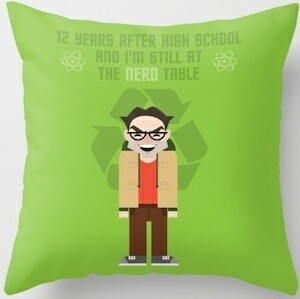 If you like The Big Bang Theory and Leonard then this throw pillow is something to check out. 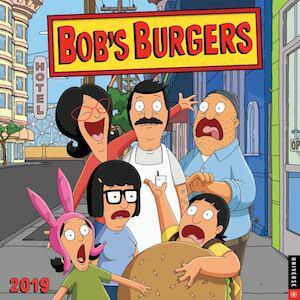 The pillow is green and on the green, you can see and image of Leonard Hofstadter and behind him the recycle logo that he wears so often on his shirt. 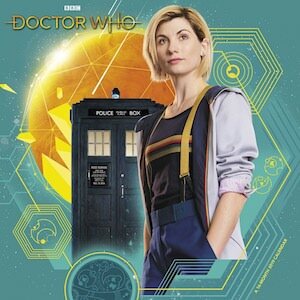 Above the image, it says “12 years after high school and I’m still sitting at the nerd table” and if you watch the show you can remember that he said that on TV. This The Big Bang Theory pillow is available as pillow or just pillow case and it comes in many sizes and in versions for indoor or outdoor use. Dress up your couch with a fun Leonard pillow. If you have seen Sheldon and Leonard take a tissue on The Big Bang Theory then you know they do that from a box that looks like a Rubik’s Cube and you are lucky because you can too. 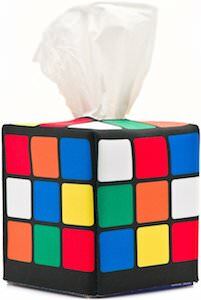 This is a neoprene tissue box cover that looks like Rubik’s cube that is not solved yet just like on TV. The cube tissue box cover is 4.5 x .4.5 x 5.5 inches and will fit a square tissue box perfectly and the neoprene is stretchy to make it fit perfectly. Now you can feel like The Big Bang Theory characters with a tissue box that looks cool and like a puzzle. We all know what Bazinga means and if you don’t then you don’t need this The Big Bang Theory air freshener. The round air freshener is red with a white circle in the middle and on top of that in yellow it says “Bazinga!” and that will be great to look at while this air freshener is hanging on your car mirror. 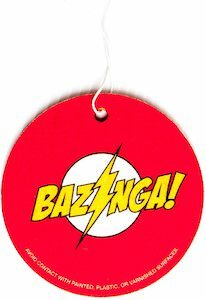 Sure Sheldon uses pine scented tree shaped air fresheners for his virtual reality experience in nature but this one is way cooler as it says “Bazinga” on it and it is round. Stop having a smelly car by simply adding this Bazinga air freshener to it. 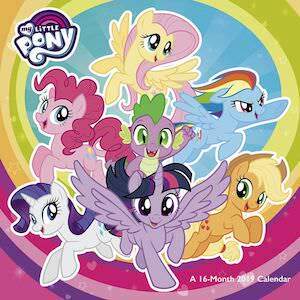 If you like Penny and the boys from The Big Bang Theory then this is the wall calendar you want on your wall in 2016. 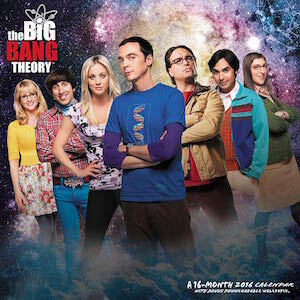 The 2016 Big Bang Theory calendar shows Sheldon, Leonard, Raj, Howard, Penny, Bernadette and Amy. 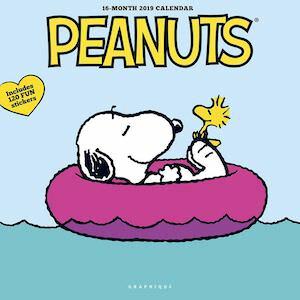 All have their own month and then there are months you see them with their partners. Fun text and pictures will make every month of 2016 a success because The Big Bang Theory is just so funny. Find a great spot on a wall so that even the calendar part becomes extremely useful for those important dates. 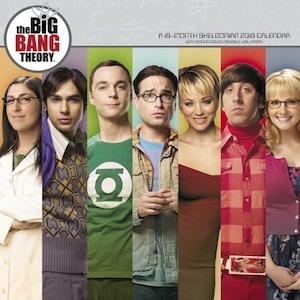 Dr. Sheldon Cooper has a catch phrase of “Bazinga” on the popular comedy television show The Big Bang Theory. This is a t-shirt that features the bazinga logo of a yellow “Bazinga!” with a black jagged line and a white circle. 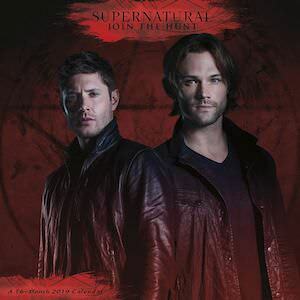 Along with this logo you see two red deer silhouettes and a series of stars, wreaths and line patterns all to make you a print that looks like an ugly Christmas sweater. 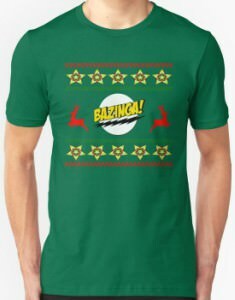 Available in a wide selection of unisex fitted sizes that range from Small to 3XL and choose from 18 different shirt colors to get your bazinga Christmas print on. Also check out the all of the other fun styles of shirts like a tank top, women’s fitted v-neck and so many more. These pajama bottoms feature the cute little kitty image that comes from the hilarious television series The Big bang Theory. Find an all over print of the little cat along with multiple prints of “Soft Kitty” “Sleepy” and other fun lyrics from the soft kitty song that Penny sang Sheldon. Available in a wide variety of women’s sizes that range from Small to 2XL and the pajama pants are made from 100% cotton which will give you a super soft, warm comfortable pair of pants that will also be very durable to last you many sleeps or many episodes of The big Bang Theory.